Lighthouse no. 3 became Pendeen Watch, thanks to Stephie; lighthouse no. 4 is based on Märket, one of the Finnish lighthouse on the original inspiration picture: it seemed only fair to let one of them sneak in. I don't know if I'm going to get it right though - I think I won't know until I've added the rest of the lighthouse. The attached building (on the right) stops here but there's more to go on the left. This is a lot more fiddly than the last one! 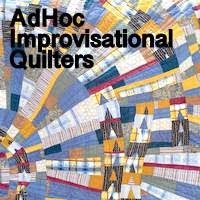 Linking up with Love Laugh Quilt today. Oh, that is looking great and I really like that it is based on a real life lighthouse. That makes it even more fun to me! Love to see your lighthouses based on real ones, and a neat touch of red in this one. We have a number of lights in New Zealand, one in particular is right at the very top of the North Island - Cape Reinga. Reading those few lines about the Märket lighthouse really makes me think about how much we take for granted nowadays. I have often wondered about the bravery of the men who built structures in perilous places. It's so good to see this lighthouse taking shape too Kaja! They all are so wonderful! I enjoy your process, thanks for sharing. Looks like you're having fun with all those scraps! They'll make a great lighthouse!